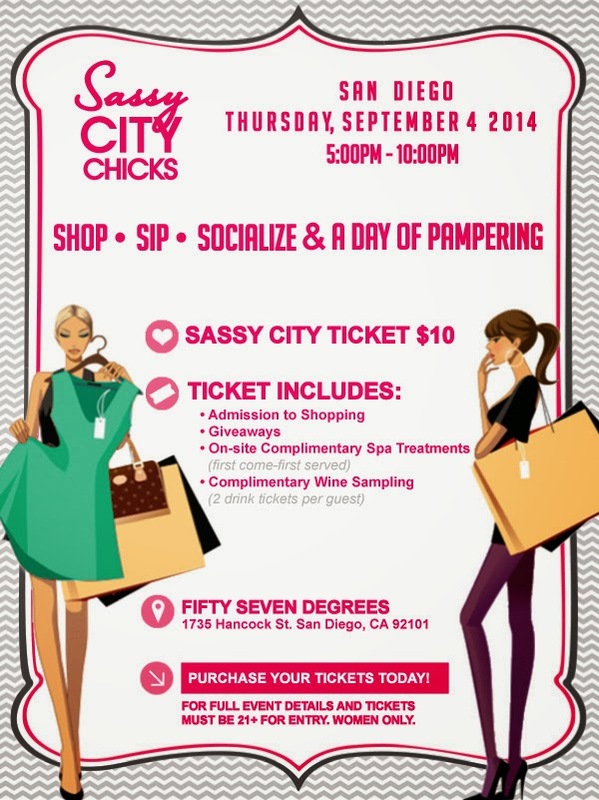 Sassy City Chicks is coming back to San Diego this September! Featured complimentary spa and beauty services from top salons and medspas. Try out some of the latest products from top beauty brands! Grab your girlfriends for an evening of shopping, pampering and more at the Sassy City Chicks shopping event! Is there a better feeling than finding a great deal on something that you’ve always wanted or an item that’s on trend this season that no one else will have? Well, this is your chance to find amazing items in style like that pair of dangling earrings you’ve been searching for or the perfect sundress that will match your bikini. The event will feature top local designers and boutiques – all in one location with incredible discounts. Designers will be selling clothing, jewelry, accessories, cosmetics, and much more! You work hard and deserve to come out and enjoy the chance to shop, sip and socialize! Bring your girlfriends, your sisters, your co-workers, your mothers, etc. They deserve it too! Ticket to the event includes shopping (look out for show specials), experiencing the spa lounge for complimentary services (on a first-come-first-served basis), drink tickets and giveaways! All you have to do is come join us! A Fashion Statement Style Blog is hosting tickets again! For a complimentary ticket, spa treatments, and 2 drinks on me: enter “afashionstate” in the promotional code box.